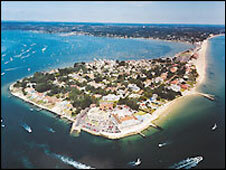 A new beach festival in Sandbanks in Dorset will bring together three existing summer events. 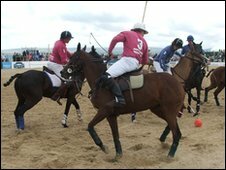 Beach Fest will incorporate the annual British Beach Polo Championships, Football Focus and the Sandbanks Beach Volleyball Festival. Other activities such as beach football, beach tag rugby and a music event will also be held during the event from 9 July until 18 July. The weekdays will see events for schools and other local groups. Borough of Poole Council said it had consulted the Poole Opinion Panel for its views on events in the area and found 81% of residents felt they were "good" on Poole's beaches. However, music, sport and arts were the top three activities people wanted to see more of on local beaches. An arena used for all three main events will be set up from 5 July. Clive Smith, head of leisure services at Borough of Poole, said: "Holding events in Poole is an important part of developing our economy and promoting Poole as a desirable visitor location. "We are delighted that we will be able to offer residents and visitors of all ages such a wide range of things to see and do over the summer period. "We hope it is a real success for all involved and encourages more sport and music events to Poole's beaches."